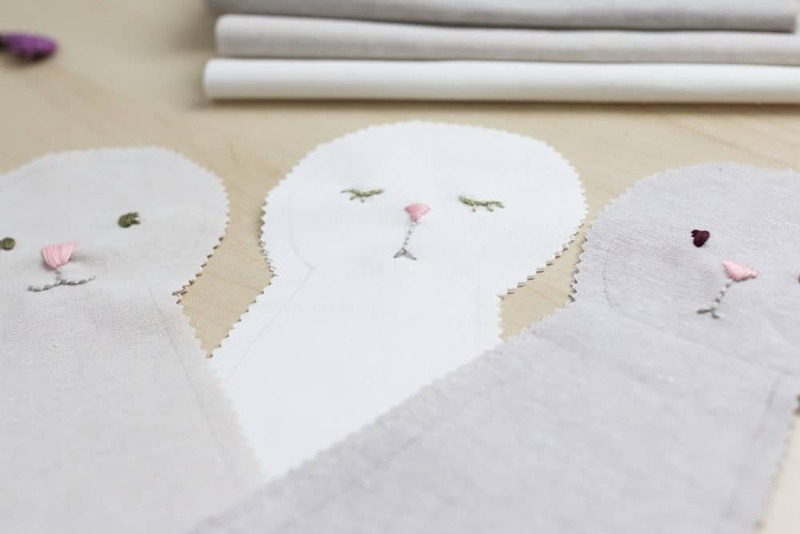 Are you ready to make your own rag doll bunnies for Easter? I’ve been working on a little project to share with you all. I was trying so hard to keep it a secret from my babies. All my sweet, darling, adorable children who I love very much (I love them, I love them) have been home sick the past.. I don’t know – forever – and have been making it impossible for me to keep secrets. I’ve also had strep (twice!!) which is killing my routine and will to live. Joking, but seriously the struggle is so real with these germs and bored, sick children! 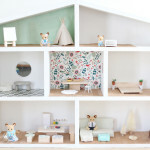 So their little spying eyes have seen what I’m working on. But I don’t even care because these bunnies are turning out so cute! 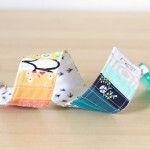 Grab up some linen (I used essex yarn dyed linen from fabricbubb.com) and read on for the first steps on how to make your own! 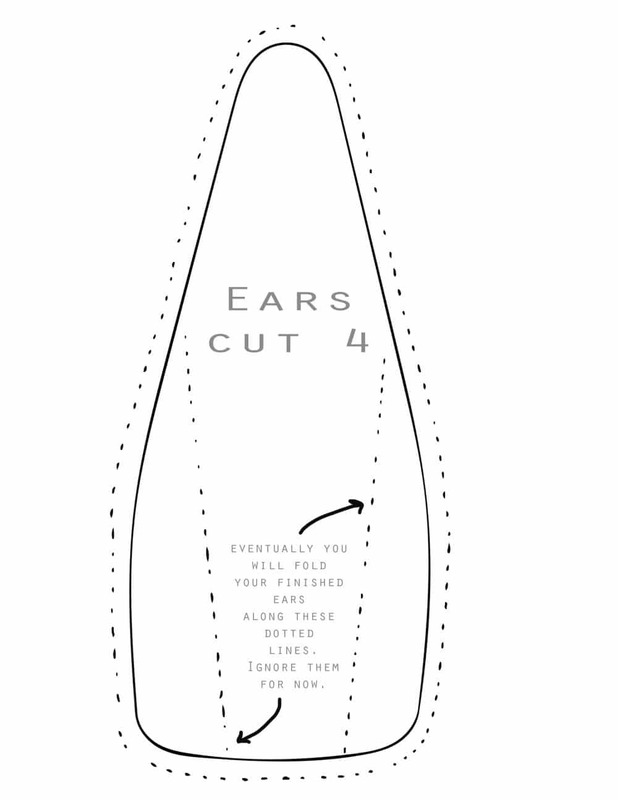 Also, please note I am not a professional pattern designer or doll maker. I usually just make things up as I go and I hope what I’m sharing is clear! If you have questions please please don’t hesitate to comment or message me on instagram @sweetersidemom and I’ll help. I want you to finish these and pop them in your little ones Easter baskets. Handmade makes the best keepsake. Save the following two images then print them on regular 8.5″x11″ computer paper at 100%. Here is my (very rough) pattern. 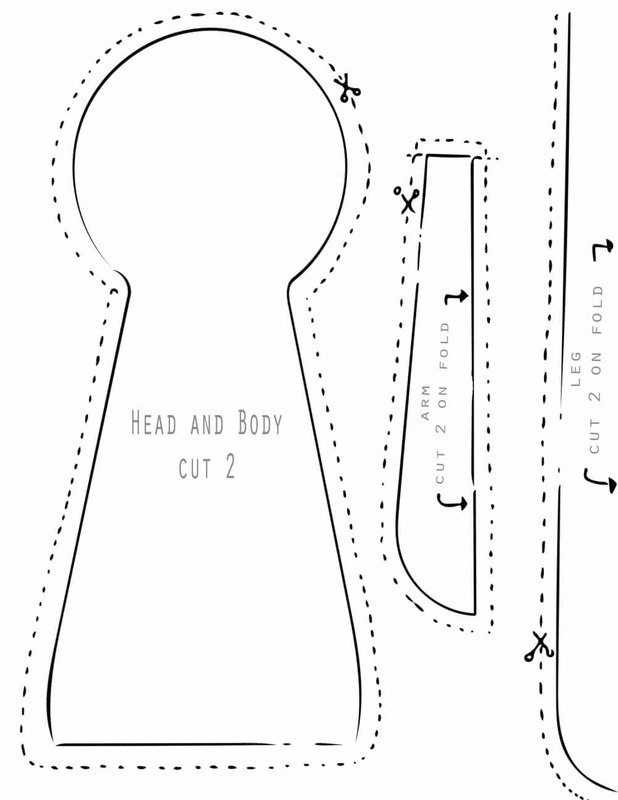 I realized after the fact that it would be much easier for you to just cut out the solid lines and trace around them on your fabric (use pencil and press lightly!) instead of leaving the seam allowance on the pattern. So ignore the dotted lines – cut on the solid black lines. 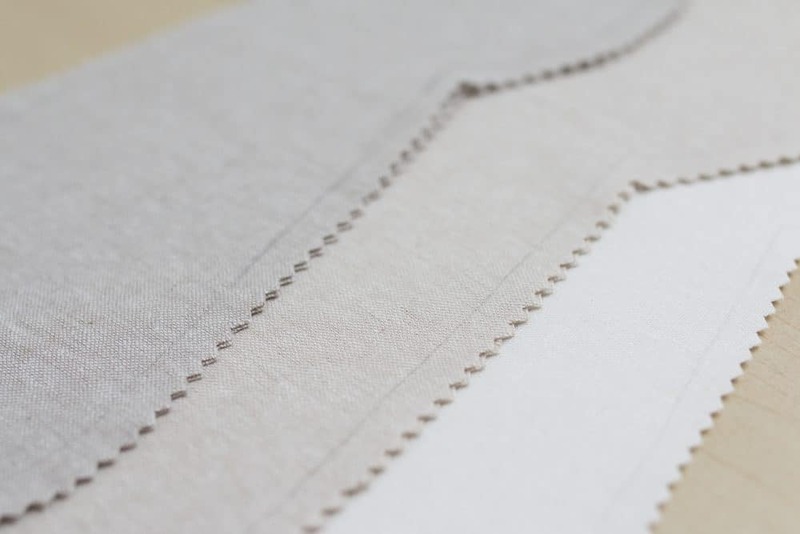 Trace your pattern pieces onto the linen and cut them out with pinking sheers leaving a 1/4 inch seam allowance around all edges. The pinking sheers aren’t a necessity but they do help the fabric from fraying while you hand stitch on the faces. Set all pieces aside except for the body pieces. 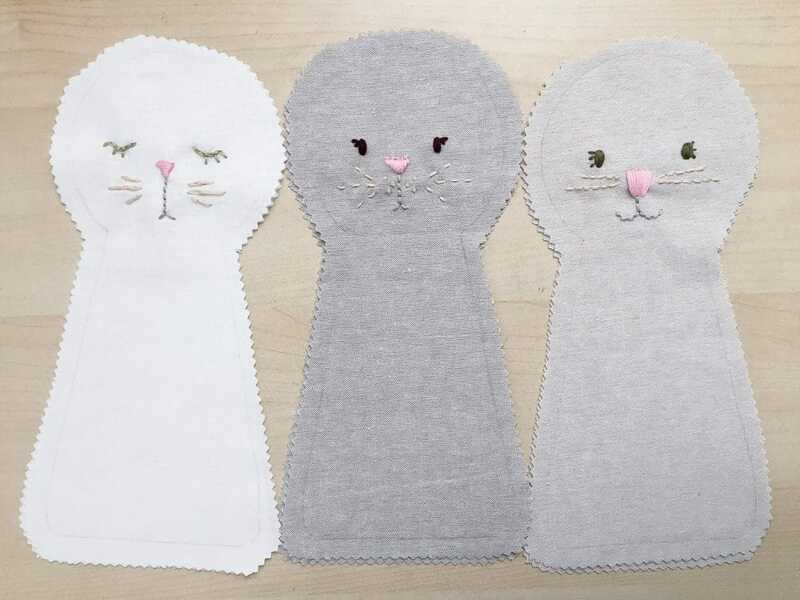 We will use one of each to stitch on the faces! Here are a few ideas to get you started. You can make these faces any way you want. Just pick what looks best to you. Advice: DO NOT KNOT your thread on the back. Instead leave a long tail when you start each feature. When the feature is complete, weave your thread into the back carefully. Then remove the needle and weave the long tail into the back of the stitches as well. This will keep your work neat and it will look cleaner on the front. Sometimes dark thread can show through your linen once it’s stuffed! Also, always work each feature seperately. Don’t carry your thread from eye to the next or from the nose to the whiskers- you’ll see the carry over on the front. Instead, start and finish each eye, each set of whiskers etc. 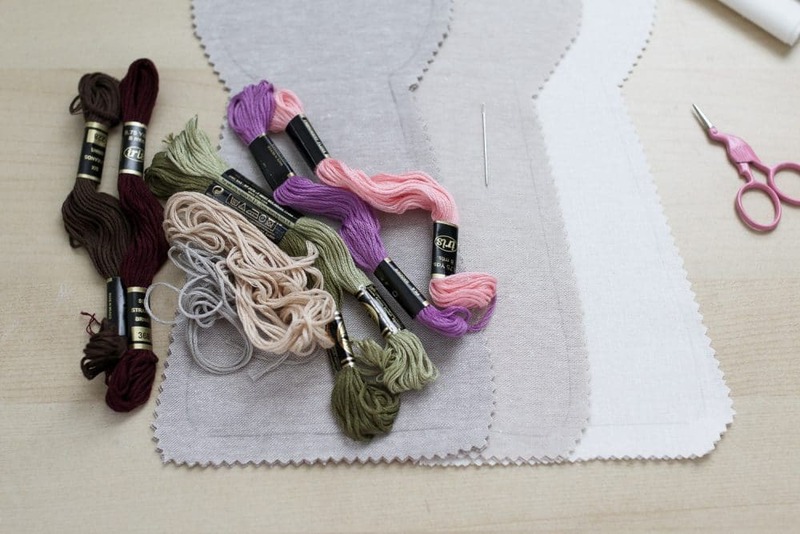 If you need help figuring out the basics of embroidery try these resources. 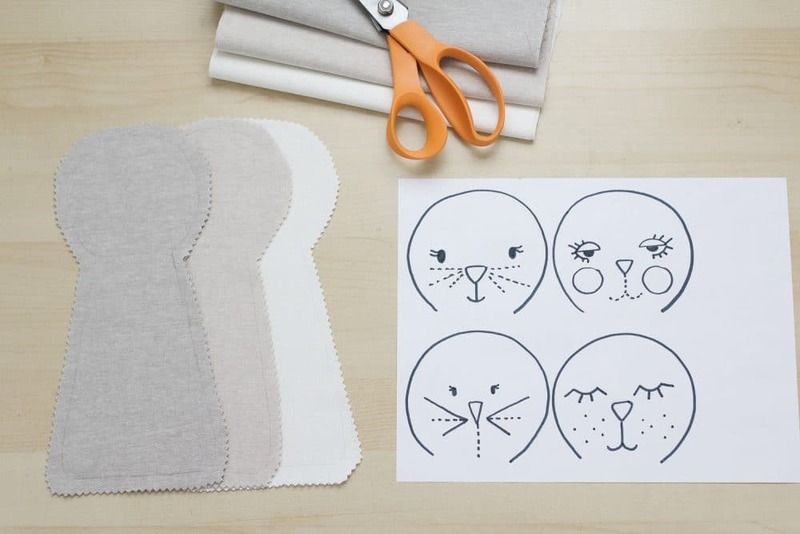 Finish embroidering your Bunny’s face. That’s it! You completed part 1. Stay tuned, next up we will get the ears and limbs prepared. I can hardly wait! 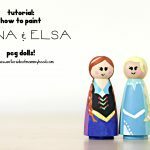 Peg Dolls: How To Paint Anna and Elsa! I never got it posted so sorry!